Looking for a clean and comfortable hotel room in Wichita, Kansas? 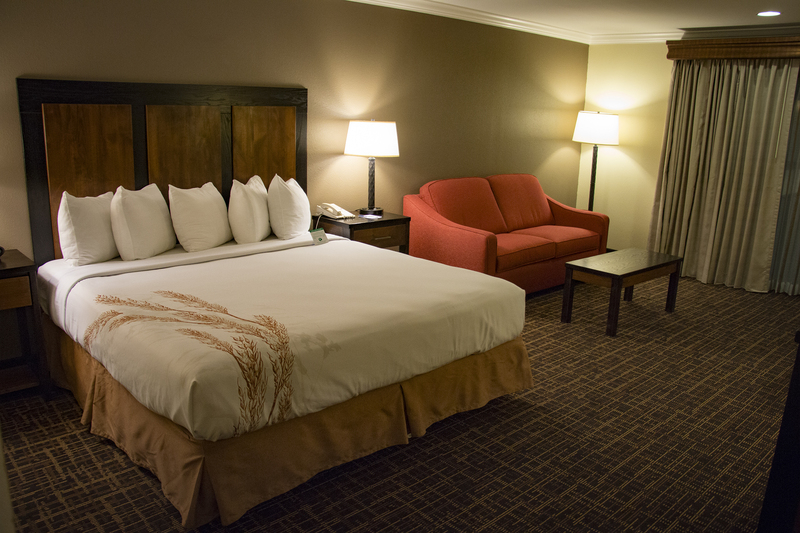 Look no further than the Best Western Wichita North. Enjoy free Wi-Fi, cable TV and much more convenient amenities, and after a good night’s sleep, start your morning off right with a free hot breakfast! 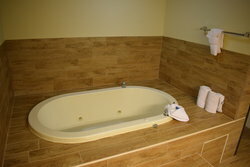 Guests especially love our Whirlpool Suites. 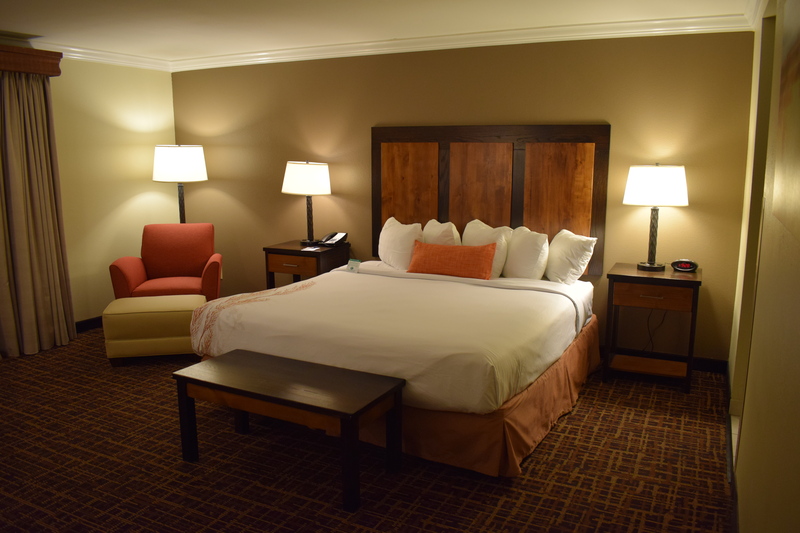 Unwind after a busy day exploring the area or attending meetings in our spacious Wichita, KS lodgings equipped with an in-room Jacuzzi. Business travelers will appreciate our Executive Suite, featuring a separate kitchen and bar area perfect for entertaining guests or conducting small business meetings. We are proud to call ourselves a pet-friendly hotel and welcome all of your furry friends. All rooms and suites have private bathrooms with a tub, shower and bathroom amenities. 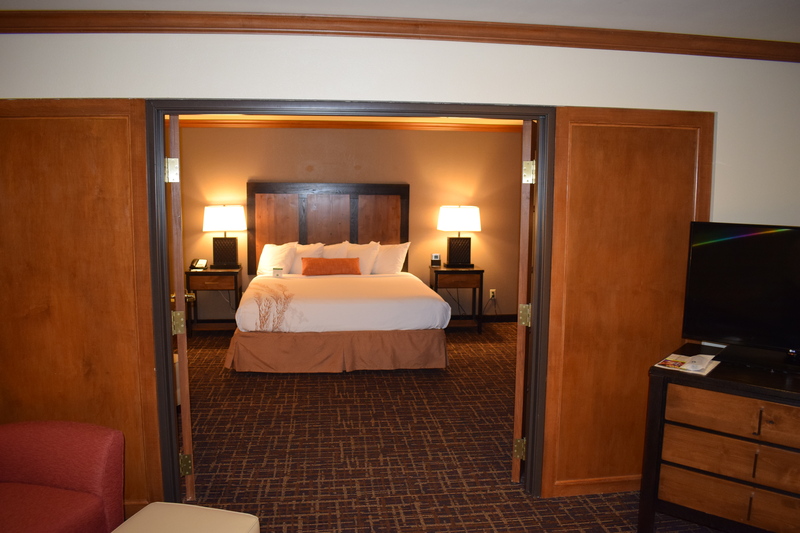 Our accessible rooms make it easy for all guests to enjoy a worry-free stay. 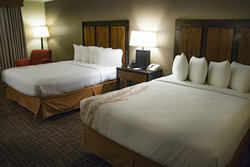 We offer 100% smoke-free accommodations that will ensure you have the best stay in Wichita, KS. We look forward to seeing you soon! 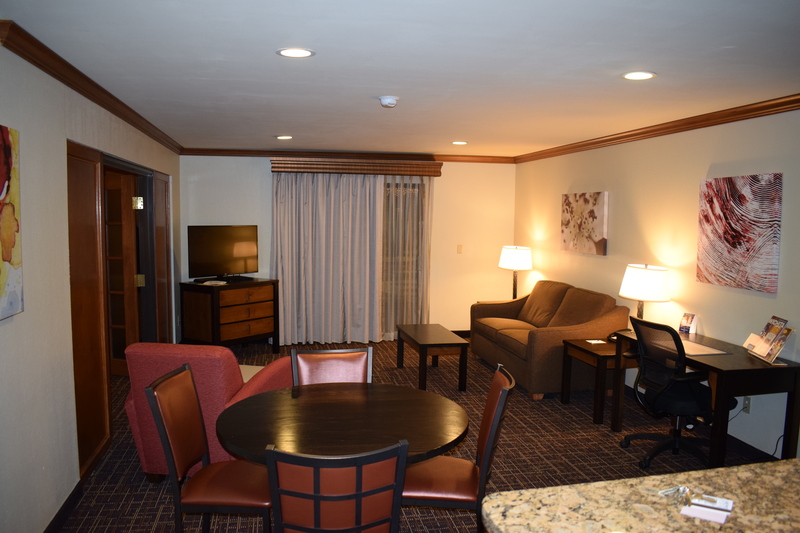 This room features a single king size bed with a pull out sofabed, microwave, mini refrigerator, a 32-inch flat panel HD TV with HBO® and free wireless high-speed Internet. This king room also includes a complimentary breakfast buffet each morning. Pets allowed with a nominal fee per night. 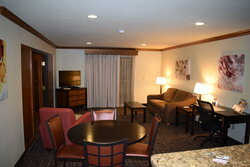 This room features two queen size beds, a 37-inch flat panel HD TV with HBO® and free wireless high-speed Internet. This double queen room also includes a complimentary breakfast buffet each morning. Pets allowed with a nominal pet fee per night. 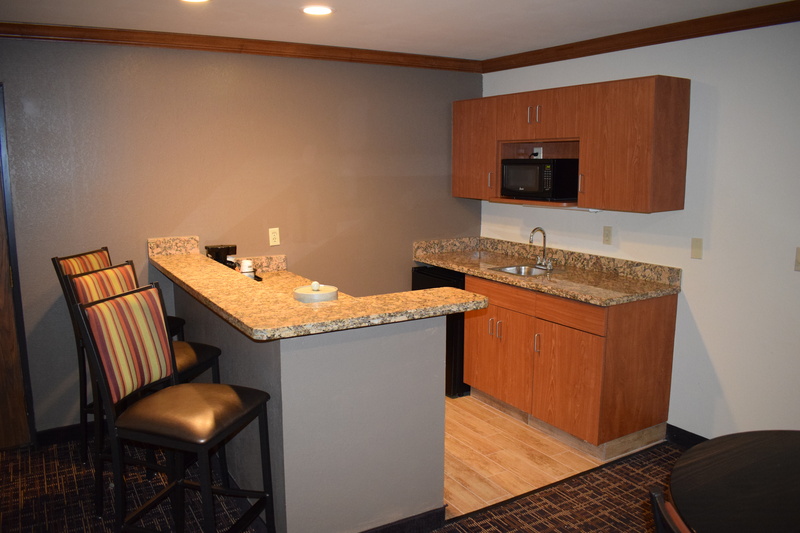 This room features a single king size bed with in-room Jacuzzi®, microwave, mini refrigerator, a 32-inch flat panel HD TV with HBO® and free wireless high-speed Internet. This king Jacuzzi® room also includes a complimentary breakfast buffet each morning. Pets allowed with a nominal pet fee per night. 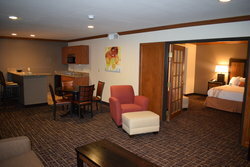 This room features a single king size bed with in-room Jacuzzi®, microwave and mini refrigerator. This room also features a separate living room area divided by lovely French doors. Guest will enjoy the kitchen and bar area for entertaining. This king suite also includes a 37-inch flat panel HD TV with HBO®, free wireless high-speed Internet and a complimentary breakfast buffet each morning. This room features a single king size bed with a pull out sofabed, roll-in shower, microwave, mini refrigerator, a 32-inch flat panel HD TV with HBO® and free wireless high-speed Internet. This king room also includes a complimentary breakfast buffet each morning. Pets allowed with a nominal pet fee per night. This room features two queen beds, roll-in shower, microwave, mini-refrigerator, a 32-inch flat panel HD TV with HBO® and free wireless high-speed Internet. This queen room also includes a complimentary breakfast buffet each morning. Pets allowed with a nominal pet fee per night.